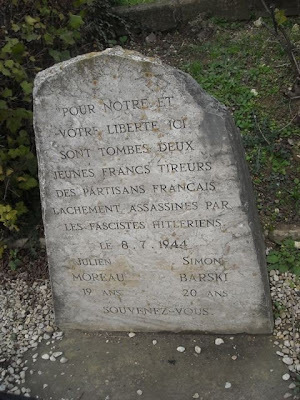 Jules Moreau and Simon Barsky were partisans killed by the Nazi in WWII. 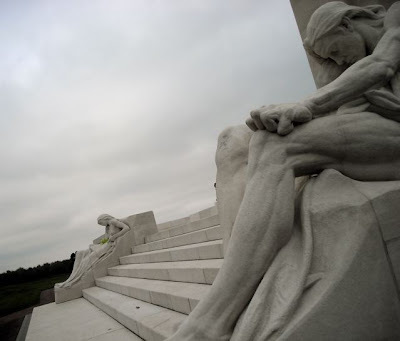 You are aware, I hope, that Vimy is a WWI Memorial. The small monument was put up after the Second World War,but how do "the monuments and the ceromonies that remember the wars of the past, perpetuate the same fundamental divisions that are at the root of wars and conflicts" ? do you promote the WWII philosophy of Mohandas K Gandhi, esq., that the British and French should (have) allow(ed) themselves to be killed by Hitler, rather than fight against him and everyone who stands with him?